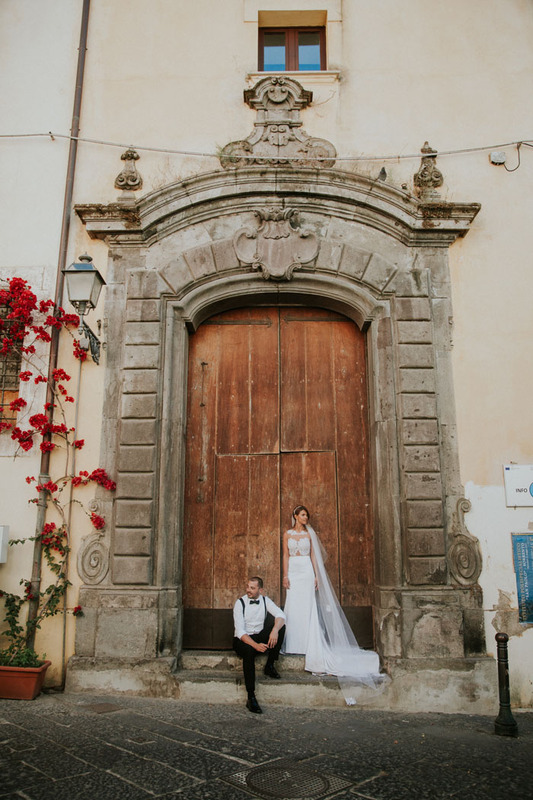 Destination weddings are truly magical and when captured using the key components of the location, the photographs offer an enchanting memory for years to come. Here, nine destination wedding photographers share one of their favourite snaps and the story behind the big day. "In September 2016 I had the honour of capturing the wedding of Veronika and Gary. This wonderful occasion celebrated the coming together of two cultures; Gary's English heritage and Veronika's Austrian roots. With this in mind, the wedding covered two days. The first day consisted of a ceremony that celebrated the Austrian traditions and the second day featured a traditional church service. 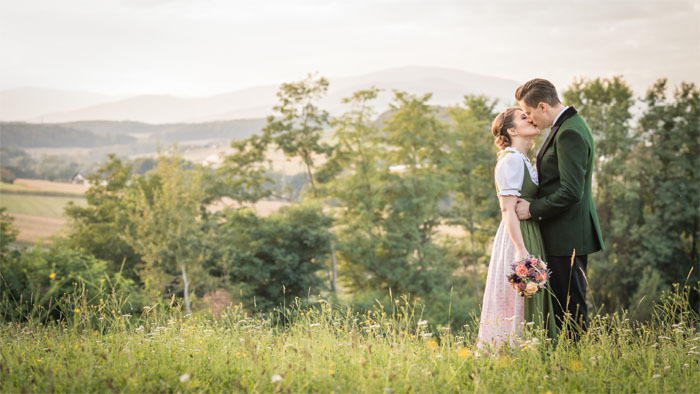 The setting for this beautiful wedding was the stunning Obermayerhofen Castle set in the picturesque Styrian Spa Region of Austria." "This photograph was captured at Thalia and Mike's wedding in Greece in 2016. It was a gorgeous day and they were married on a beautiful evening in a beach-side ceremony. There had been bad weather and flooding in the area in the week leading up to the big day, so we were really lucky that the sun appeared in time. 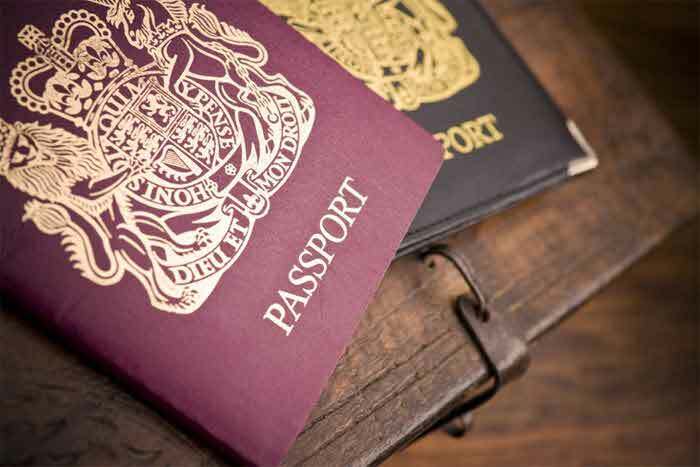 If couples are planning a destination wedding, one piece of advice I'd give is that occasionally things can be quite laid back in terms of organisation. Lots of the suppliers were a little late and even the registrar arrived half an hour late to this wedding - but everything was fine in the end." "When Astrid and Gregoire searched for their fairytale wedding venue, they wanted something authentic, cultural and filled with history. 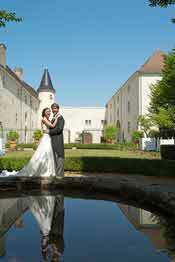 A castle in France where they could hold their wedding reception, without the Disney razzmatazz. 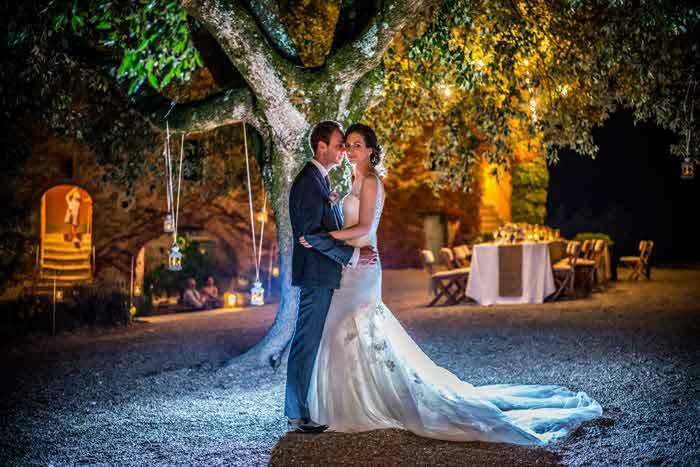 Chateau des Buis in South East France was the perfect venue. The 850-year-old private castle is steeped in history and offers exclusivity for wedding events. Astrid felt like a princess and the guests were simply blown away with the history, renaissance art painted coach entrance, battlements and facilities. 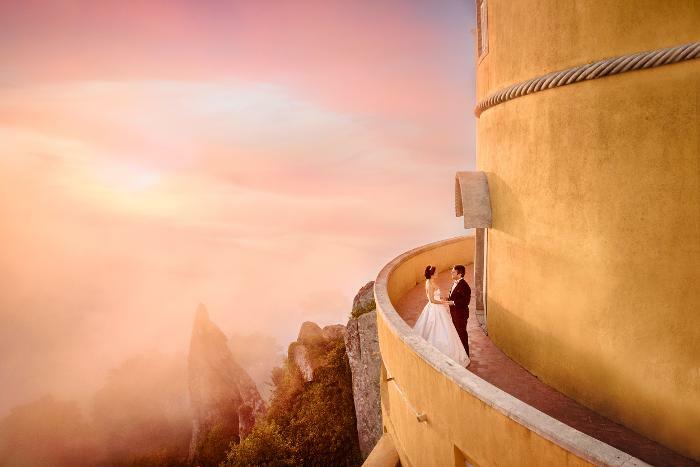 This image captured both the incredible setting and their love for each other." "While walking around Sorrento in South West Italy we stumbled across this beautiful doorway down a quiet street just near the cloisters. I wanted a backdrop to frame the couple and what better way than this stunning door and the beautiful flowers creeping round? We later went into the building to take more photographs, as like many buildings in Italy, the architecture is breath-taking. After speaking to the ladies at the desk, we found out we had actually used the local tourist information centre to take a series of images for the album... a much more elaborate TIC than the ones at home." 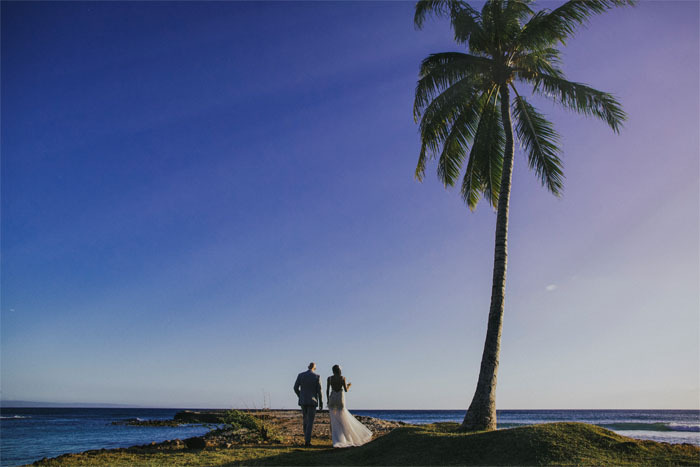 "Yarlini and Charlie got married in Hawaii at Olowalu Plantation House. After a year of planning to bring Charlie's family from America and Yarlini's family from Australia for their wedding, the wedding went ahead. This was the their walk just after they were married at sunset to take a breath and soak in the fact that they did it." "Luci and Kristian said 'I do' with a gorgeous beach ceremony on the island of Lefkada, in the Ionian Sea just off the West Coast of Greece. They had an intimate and relaxed ceremony under a flowered arch, decorated with white blooms and foliage, while the bride's bouquet featured touches of soft pink. Luci wore a beautiful Maggie Sottero gown and Kristian opted for chinos, a waistcoat and leather flip-flips. After saying their vows, the party began on the beach with speeches and champagne before they made their way to a traditional Greek Taverna. 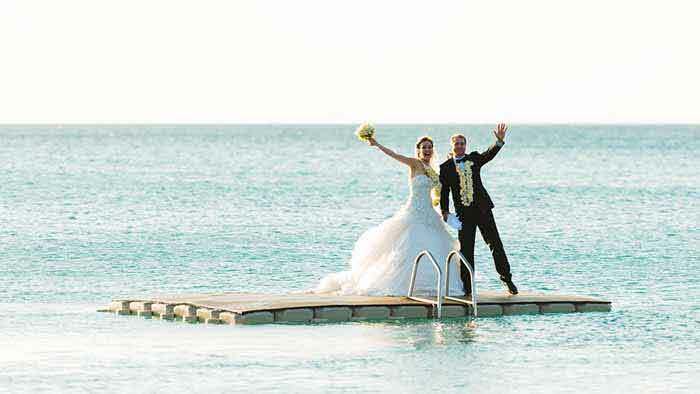 All perfectly planned by Claire Salisbury from Lefkas Weddings." 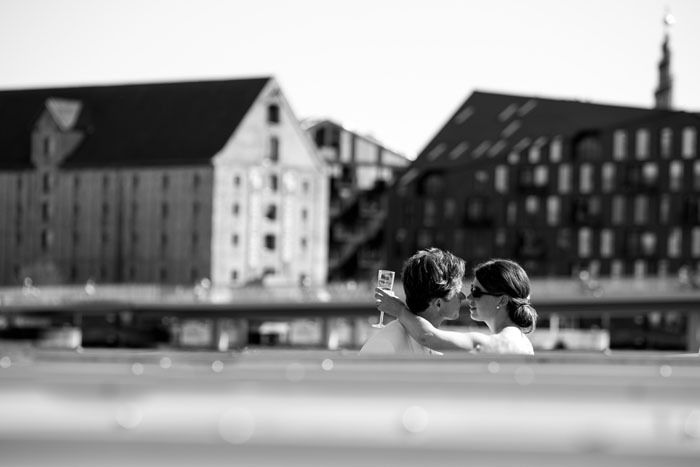 "Janus and Natascha had arranged for a boat to take their guests from the church to the reception venue on a blistering hot day in July in Copenhagen. As the champagne flowed and the guests' attention was diverted from the couple to the spectacular sites of Copenhagen, the newlyweds found time for some intimacy at the bow of the boat. I was nicely positioned at the back of the boat to capture the special moment." "This was a gorgeous really intimate wedding in the French mountains, just outside of Grenoble and Lyon. The couple celebrated their marriage with their immediate family, creating a really special vibe throughout the day. Catherine and Florent are both keen hikers and so when capturing the day, and in particular their portraits, it was important to also capture the essence of the mountains as their backdrop." "Danni and Andy met in the Ibiza more than 10 years ago, so what better place to host their wedding and share their favourite place in the world than on this wonderful island with all their friends and family? The wedding day celebrations were held at El Chiringuito of Cala Gracioneta; a wonderful private beach club full of charm and situated right on the beachfront." "This is the wedding of Pedro and Yi Martins. They live in San Francisco but Pedro is originally from Portugal. They got married at the fairytale Sintra Palace near Lisbon and this shot was taken just after the outdoor ceremony as they made their way into the palace for their drinks reception. We had previously photographed one of their friends' weddings in Portugal five years ago and Pedro was keen for me to photograph his wedding as he said he was sure we would create some magical photos in this beautiful location. We were fortunate that the mist rolled into the valley below, mirroring the high cloud above as the sun set."